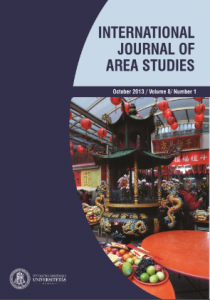 The International Journal of Area Studies (IJAS) is an international open access academic English language blind peer review journal devoted to area studies from the humanities and social sciences perspectives (including but not limited to research on history, religion, philosophy, politics, and social processes in the regions of the world). IJAS is a semiannual journal published in March and October with one issue per year devoted to a particular region (currently encompassing Middle East, South Asia, East Asia, Sub-Saharan Africa, and Northern Europe) and the other issue constructed on a trans-regional basis. In Western Europe and North America, area studies, understood primarily as encompassing the study of non-European (but also non-West European) societies and their cultures, has long become an established discipline of its own – numerous universities have study programs devoted to it, dozens of research institutes and think tanks host hundreds of researchers conducting research on one or another aspect of it, dozens of specialized academic journals and hundreds of books are being publish annually. In the formerly Socialist part of Europe, the study of and research on non-European societies and cultures (but also of those in the region itself) is still a new phenomenon with little institutionalization and even less venues for dissemination of research results. Despite this, there is an ever growing pool of indigenous scholars the quality of whose research meets international standards and deserves to be made public to the wider scholarly audience. In view of these circumstances, the International Journal of Area Studies (IJAS) is projected to facilitate the alleviation of the felt acute lack of representation of research in area studies being conducted, first of all, in Central and Eastern Europe. IJAS is an international open access academic English language blind peer review journal devoted to area studies from the humanities and social sciences perspectives (including but not limited to research on history, religion, philosophy, politics, and social processes in the regions of the world). IJAS is a semiannual journal published in March and October with one issue per year devoted to a particular region (currently encompassing Middle East, South Asia, East Asia, Sub-Saharan Africa, and Northern Europe) and the other issue constructed on a trans-regional basis. Though the Journal first of all is aimed at becoming a scholarly outlet for scholars engaged in area (including North European) studies who are based in Central and Eastern Europe, it naturally welcomes contributions by authors residing and working anywhere in the world. In addition, the Journal welcomes texts by aspiring young researchers, including graduate and post-graduate students. Next to texts based on original research, the Journal accepts review articles with in-depth analysis of relevant publications in area studies. Review articles are subject to blind peer review process and are treated as research articles in their own right. Boniface Nkem Anusiem, Faculty of Arts, University of Abuja, Nigeria (Sub-Saharan Africa studies). Presently, there is no Call for Papers. Please visit this page later for further updates. This issue focuses on the acceptance of Japanese Popular culture in Europe, which could be considered as one of the most influential factors in constructing the image of Japan from interdisciplinary point of view, in order to examine how have images of Japan been constructed and developed through Japanese Popular Culture Reception in Europe and if they changed or been consistent before and after Japanese popular culture boom in Europe. 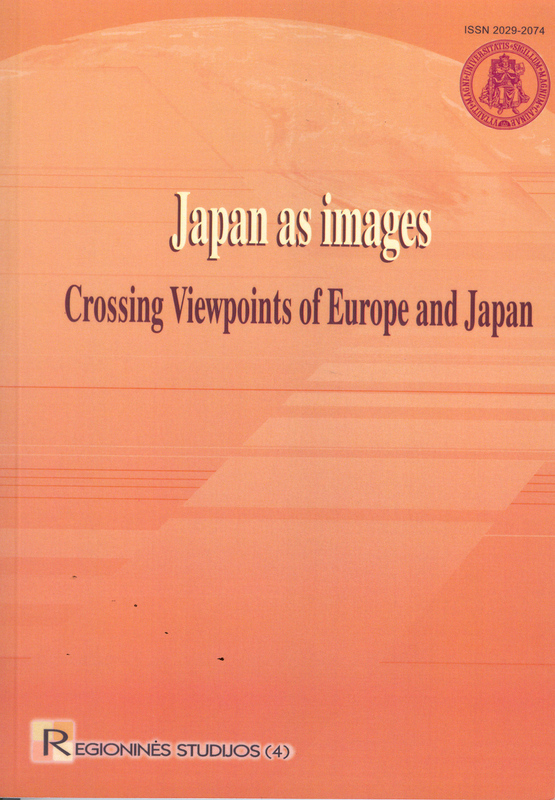 The articles of this issue examine the construction and development of Japan’s images in different countries of the West from a diachronic point of view. The articles of this volume discuss various problems but research area is the same – Lithuania, Latvia, Estonia as a case studies or material for comparative analysis. Authors are analyzing forms of citizenship and civil society, issues of national minorities, their images and aspects of integration. Questions of human right protection also are discussed in the volume, as well as peculiarities of Estonian cinema in 1960s or PR functions in universities management. The articles of this issue discuss the images of Japan from the European and Japanese perspectives interdisciplinary and internationaly. They emphasise, on the one hand, that the images of Japan are not simple, but complex, constructed by the accumulation of several historical repeated descriptions of Japan, and, on the another hand, the possibility to analyse them from several points of view. Approved for printing: March, 2010. 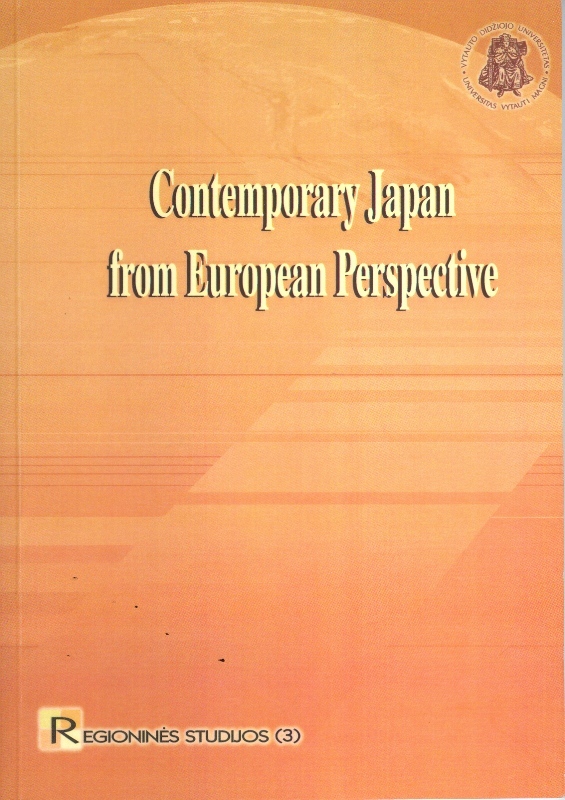 The articles of this volume address different aspects of the perception of contemporary Japan in European countries, focussing on the topics about the European perspective towards contemporary Japanese society, politics, gender, culture, as well as the problems of the credibility of Japan’s image construction in particular European countries. Approved for printing: April, 2009. Sponsored by: Toshiba International Foundation. This volume is a result of the conference “Language, Diversity and Integration in the Enlarged EU: Challenges and Opportunities”. 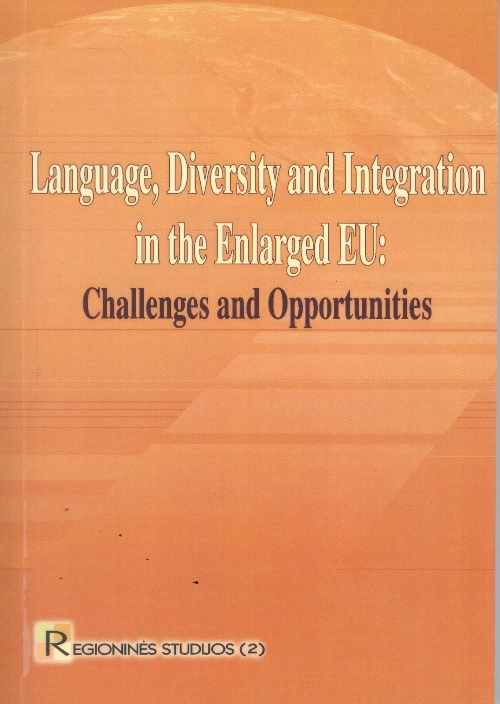 It discusses issues such as: what is the interplay between language, diversity and integration following EU enlargement? Has the role of language in practices relating to (the expressions of) ethnicity, nationhood and citizenship changed? How are prevailing ideologies pertaining to cultural and lingustic differences reflected in the public discourse? What is the role of languages in the educational environment? What are the implications of EU enlargement on language and integration? Approved for printing: December, 2006. Sponsored by: Ministry of Education and Science of the Republic of Lithuania. Edited by Prof. Dr. 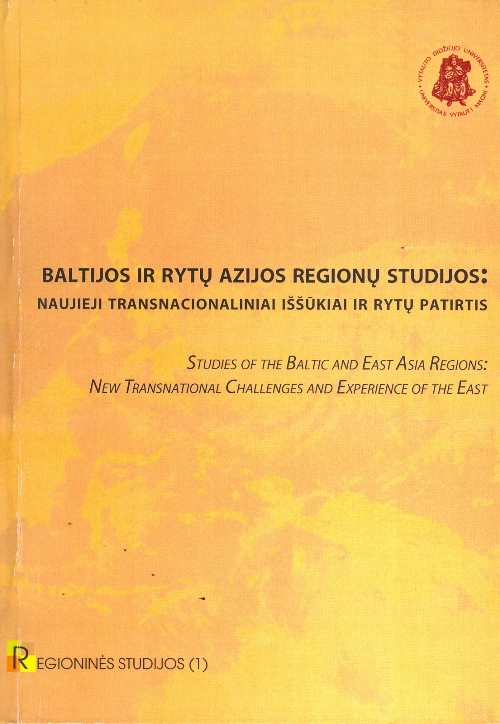 I. Savickienė This volume presents two geographically different regions, while focusing on ethnical changes, new challenges that currently arise in the Baltic Sea region. The volume looks at the geographically separated region – East Asia, which thinks in different categories and faces different challenges. The aspect of mutual cognition, communication possibilities and specifics are also being analyzed. Approved for printing: June, 2006.